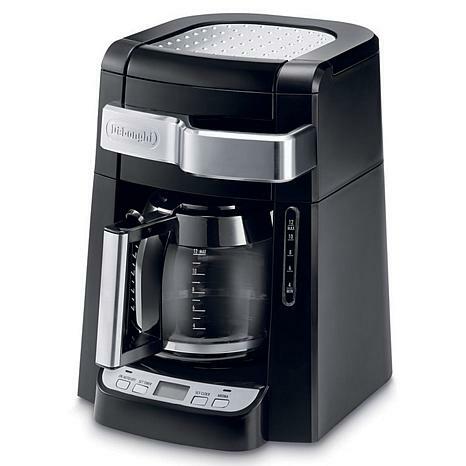 The DeLonghi DCF2212T 12-Cup Drip Coffee Maker with Complete Frontal Access allows you to easily fill the water tank and ground coffee filter without moving the unit. Open the door using the handle, pour water in the channel and put grounds in the coffee filter. 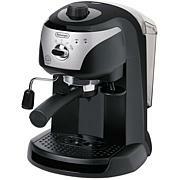 This coffee maker features a programmable timer with 2 hour automatic shutoff and a water level indicator to let you know when the unit needs refilling. An aroma button activates a unique brewing process that enhances the flavor and aroma of your coffee. This special time-released process saturates grounds a little at a time to extract the best flavor and aroma from your coffee. 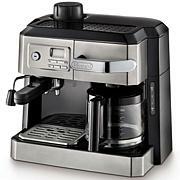 Wanted a programmable coffee maker. Got this and was pleasantly surprised by the frontal access and how much more convenient it is to pour the water in and add the coffee grounds. No moving the coffee maker out from under the cabinet to pour water. Great feature. 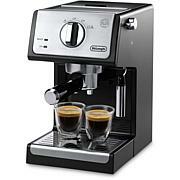 Easy programming, coffee is good and hot, automatically shuts off 2 hours after it starts. So great I bought my daughter one. Love it! I really like the ability to open and fill water from front of coffee maker. 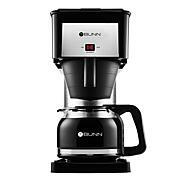 I have purchased this coffee maker twice. Like the improvement of pour spout on coffe carafe. Would recommend to everyone. Easy to use makes great tasting coffee. Very happy with this purchase. I love this coffee maker easy to fill the water. You don't need to move from under your counter. The only thing it shuts off after two hrs with no other option. The coffee tastes great it's hot but not pipping hot. It don't take up too much room. Great choice.